I have always been a big fan of cosmetics, but I have to confess that I'm mostly self-taught, and when it comes to makeup, there's a lot of things that have me confused. For example, how in the world are you supposed to make use of all three or four of the colors that come in one eye shadow pallate? I'm pretty good with two, but once you start throwing extra colors into the mix, I tend to get a little lost. 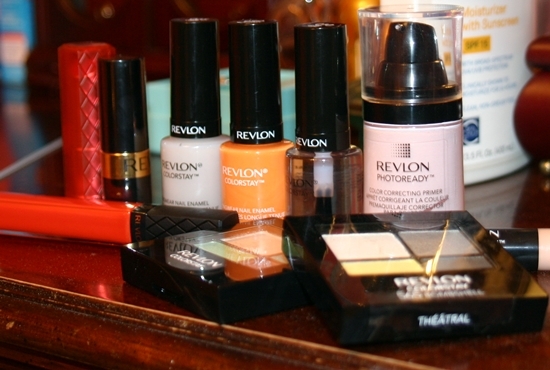 I was really excited when I was contacted to test out and review the Revlon Expression Experiment. I got a nice package in the mail that was full of makeup including some lipstick, nail polish, and a variety of eye shadow colors. There were even a few things I never would have bought on my own, like makeup primer, which I'm now hooked on and probably will no longer go on without it. The thing I appreciated the most, though, was that the eye shadows were complete with a little diagram on the back, detailing exactly how to use all four colors in the pallate. So that's what I did. I love the way it turned out, especially that little hint of green in the bottom outside corners. And the lip colors are deliciously summery. A tart cherry, a bright red, and a juicy orange hue, shown below. 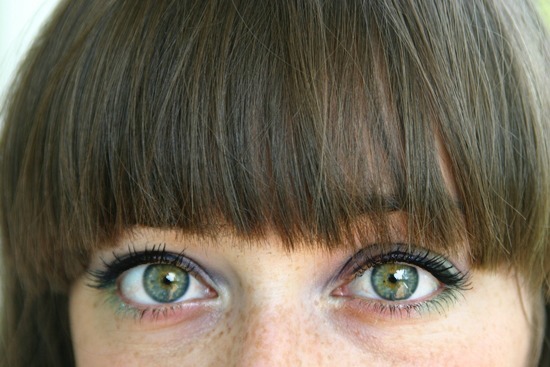 Go check out the Revlon Expression Experiment for yourself! Do any of you use Revlon already?